Logan will be third solo Wolverine movie to hit cinema screens, according to press statements from Hugh Jackman this is his last appearance in the role. We are told that this offering will be set in an alternate universe, within the reality established in X-Men Days of Future Past. 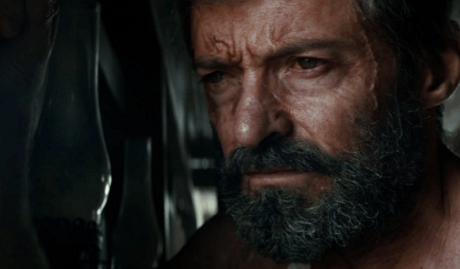 Film Director James Mangold is back on board after standing behind the camera lens in 2013’s Wolverine. Patrick Stewart had commented that he was highly receptive to reprising Charles Xavier, and indeed he returns to the franchise. The movie is partially derived from the 2008 non-sequential comic series Old Man Logan by Mark Millar and artist Steve McNiven, a later reboot of the same concept was penned by Brian Michael Bendis. From the plot details revealed to the public, Logan and Charles Xavier exist in a word depleted of mutants. We are dealing with a much older and more battle hardened Logan, who now is healing at a slower rate. They are protecting a young girl, who manifests similar rejuvenation powers as Logan, who may be X-23 a character debuting back in Marvel’s NYX in 2004 who was cloned from Wolverine. Other confirmed cast members are Stephen Merchant as mutant Caliban, Richard E Grant as Zander Rice, Dafne Keen and Laura and Boyd Holbrook as Donald Pierce. The cast list includes other actors associated with comic book adaptations, in Eriq La Salle and Elizabeth Rodriguez. Fan speculation had jumped to the conclusion that the Reavers would be showing up as nemeses, gleamed from the concept art and images released. The Reavers will indeed be appearing with Boyd Holbrook portraying the Reavers leader. Nathaniel Essex / Mister Sinister is another super villain definitely forming one of the antagonist story arcs. In an X-Men: Apocalypse post-credits scene Nathaniel Essex’s secret scheme was teased, as he collected DNA samples from the Alkali Lake facility. The scheduled release date of Logan is March 3, 2017.